Make the most of the last days of summer with celebrations for Family Fun Month, book suggestions, after-hours programs and craft projects for teens. STEM fun, Bad Poetry Day and National Dog Day are all reasons to celebrate in August. Download the calendar now to find more ways to help teens beat the back-to-school blues. 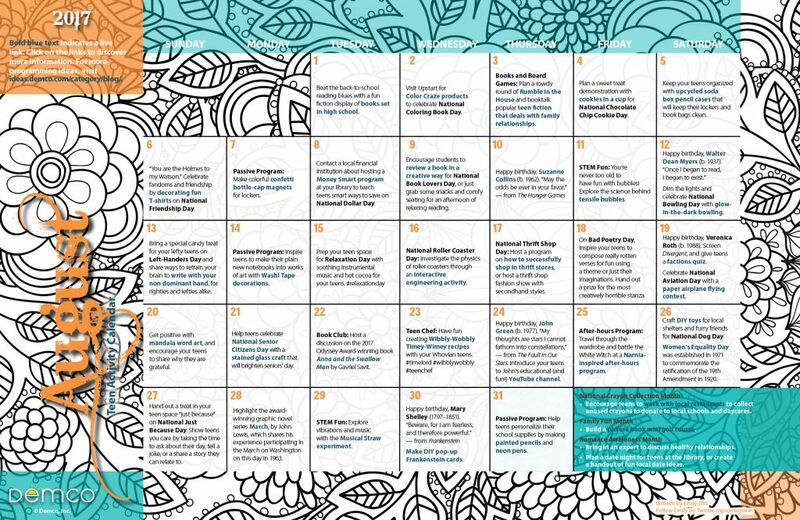 Download a printable 11″ x 17″ version of the August 2017 calendar. 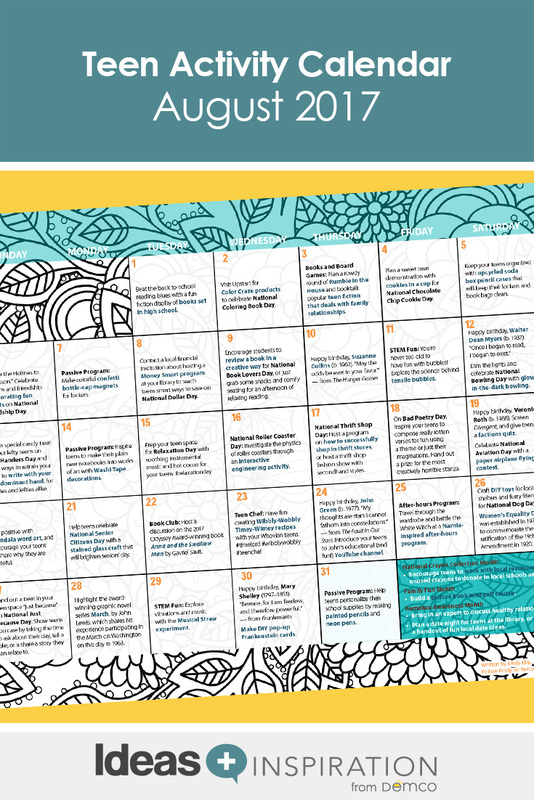 Download a printable 8 1/2″ x 11″ version of the August 2017 calendar.